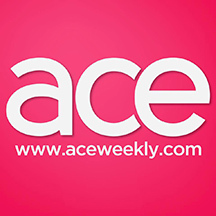 Evan Albert of Ace Weekly talks to filmmaker Justin Hannah about the Central Kentucky film scene, and offers a preview of each of the films playing at the Short Film Night at Natasha's. Casting ”was difficult, because the actors didn’t only have to perform in this specific way, they also had to ‘look’ right, if you know what I mean.” Abbra Smallwood as Margaret, in her film debut, was the first person cast. Her performance (and her look) is a little bit January Jones as Betty Draper mixed with Michelle Williams in My Week with Marilyn. Consignment is a dark tale, seasoned to perfection with riveting music and cinematography. Justin Hannah claims it is the “most ambitious thing I’ve ever made.” Justin Hannah’s hard work has paid off, Consignment looks and feels like a professional piece.